This is one of my favorite breakfast recipes, which I normally make when I want something a little special in the weekends. 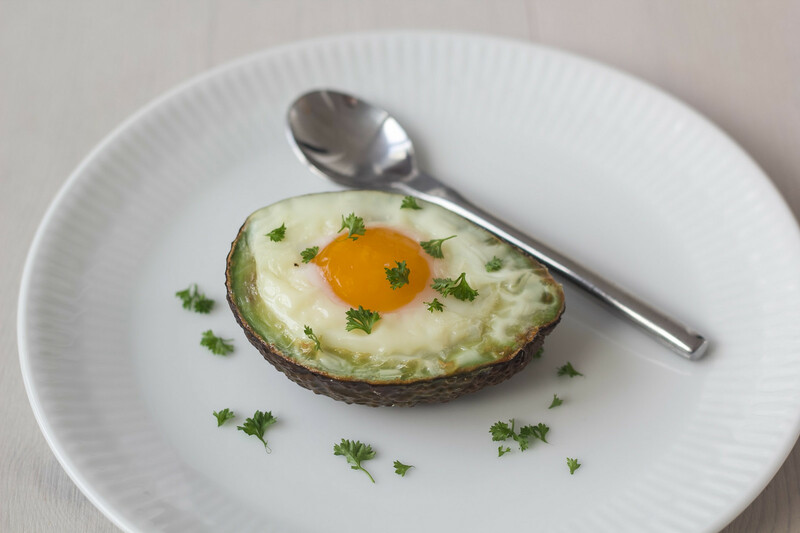 The recipe for a baked avocado with an egg gives you the healthy vitamins and fat from the avocado and the protein from the egg. I personally think an avocado is one of the best ingredients/fruit you can have in the kitchen. It is packed with good vitamins and healthy fat. It is easy to keep in your backpack and gives you some great energy when you need it. 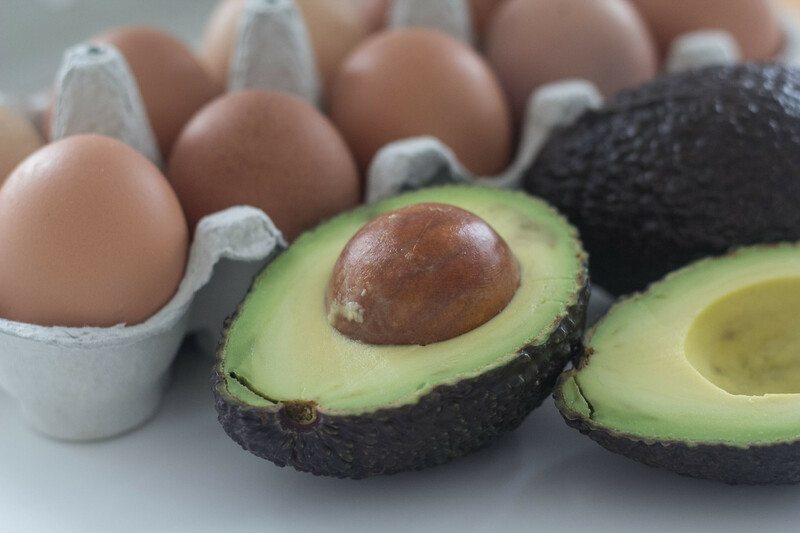 The downside is that the period, where an avocado is ripe, can be a little tricky to control and sometimes the period is only a few days. However, this is still my favorite fruit. The instructions for this recipe is super easy. You start by dividing the avocado into two parts and remove the seed. Do not peel the avocado – just leave the peel on. 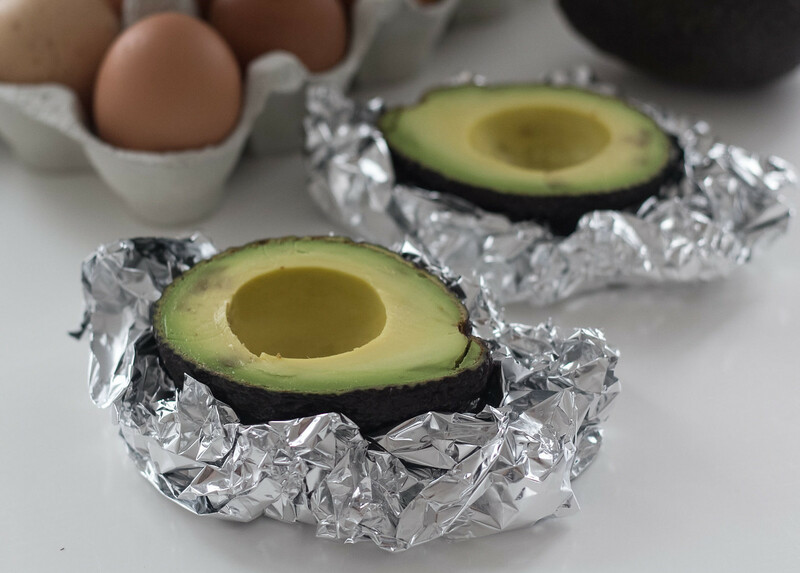 Then you built some foundations from some aluminum foil and place the two halves avocados solid on an oven plate. 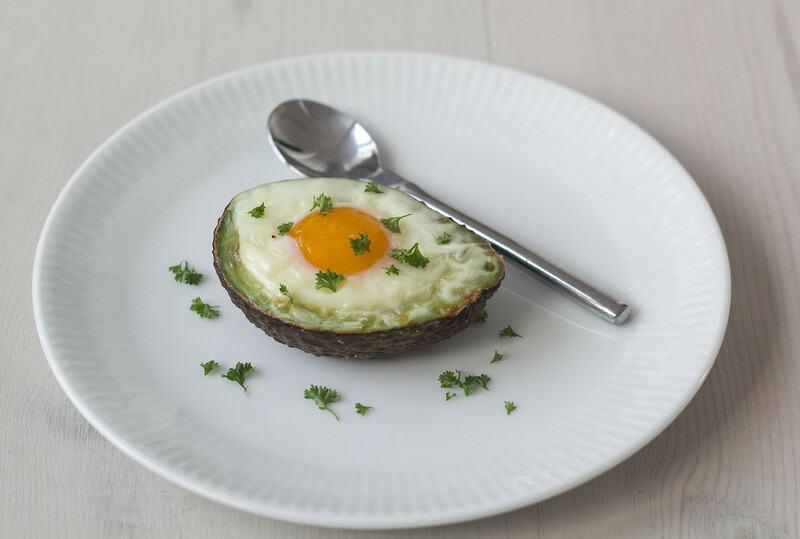 Then you crack two small eggs and pour them into the holes in the avocado where the seed used to be. Finally bake the avocado at 180 C (360 F) for about 15 minutes. It is that simple! 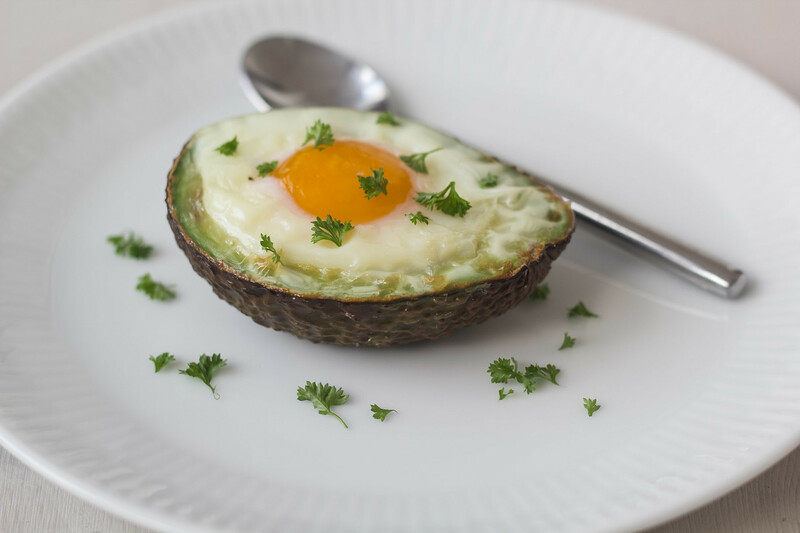 Serve the avocados with a breakfast bun or some toasted bread and of cause a cup of coffee. 1. Divide the avocado in two halves and remove the seed. 2. Make the holes, where the seed used to be, a little larger if you are using large eggs. 3. Built some foundations using aluminium foil and place the avocados on an oven plate. 4. 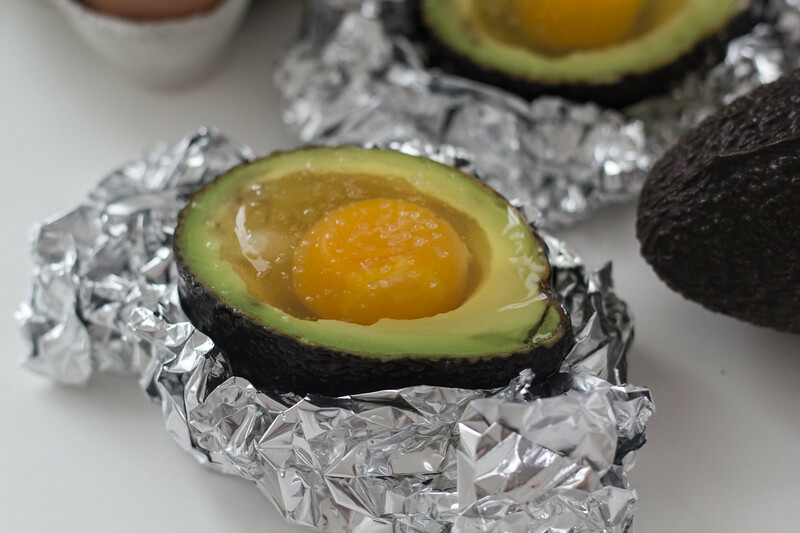 Crack open the eggs and pour them gently into the holes in the avocados. 5. Sprinkle with salt and pepper, and some dried herbs or fresh chives if you like that. 6. Bake the avocados at 180 C (360 F) for about 15-20 minutes.